The weather has definitely been warmer this week and has slowly started to help fishing conditions. The best portions of the tides (the incoming) have been in the late afternoons. I tend to focus on them right now because they have been giving us the best chances for catching fish in Estero and Fort Myers. Bait is still around if you are willing to put the time in and throw the net multiple times. Sometimes bait is extremely easy and one throw will fill the live well, while other times you throw the net what seems like a million times and barely get enough for the day of fishing. It definitely makes you appreciate the easy days and quite honestly as long as i get enough im happy however i have to do it. Bait is usually the easiest to get in the early morning hours and i am usually the first one to the spots throwing on bait sometimes in the dark. Once you get them focus on oysters and mangrove islands all over the bay, especially in the south and north ends that have good creeks and bays fed by creeks. 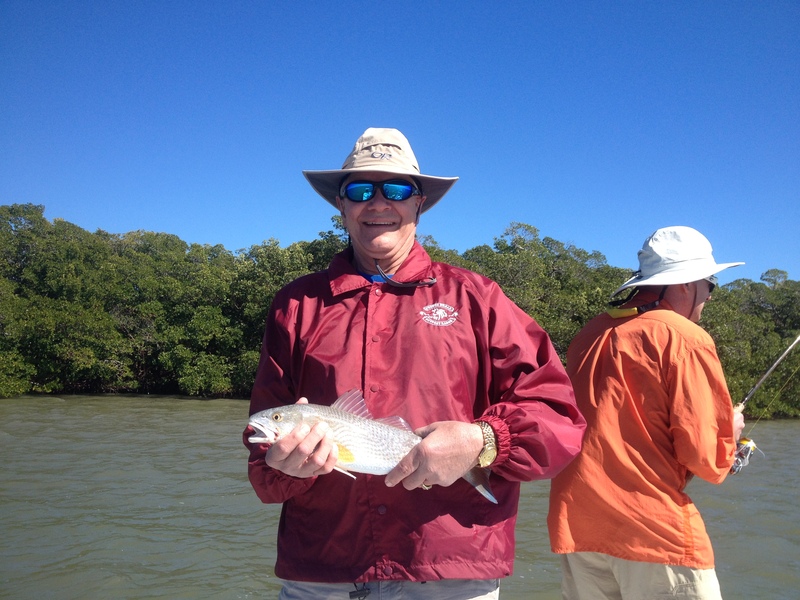 Redfish have been small and Snook have been on the Small side too but they are being caught. The good news is that Tarpon season is just around the corner and that’s when we get the large schools of migrating fish through our area. The mornings have been very foggy and that can make it extremely dangerous when navigating our waters. SLOW DOWN and use caution. If you have a big boat use the radar which is required to be on as far as the USCG is concerned. Just this week i have heard a story of a Captain running his boat in to a restaurant in Tampa so it can happen to anyone! Look for fishing to only get better as spring rolls along and get out and enjoy the water and weather!